Welcome to Everett, Womble & Lawrence, LLP. We are a community-oriented law firm with over a century of combined experience representing people just like you on a variety of legal matters. From custody trials to car accidents, real estate closings to speeding tickets, worker’s compensation to personal injuries, wills to social security, corporation filings to collections – we are a one stop shop for all of your legal and business needs. Our clients range from individuals and start-up companies to private and publicly held corporations. We are proud to serve as the attorneys for the City of Goldsboro and the Town of Pikeville. Each year, we assist our clients in resolving their disputes through business counseling, mediation, arbitration, and litigation, in addition to closing millions of dollars in business and financial transactions each year. Everett, Womble & Lawrence, LLP is a full service law firm offering various legal services tailored to your specific needs. 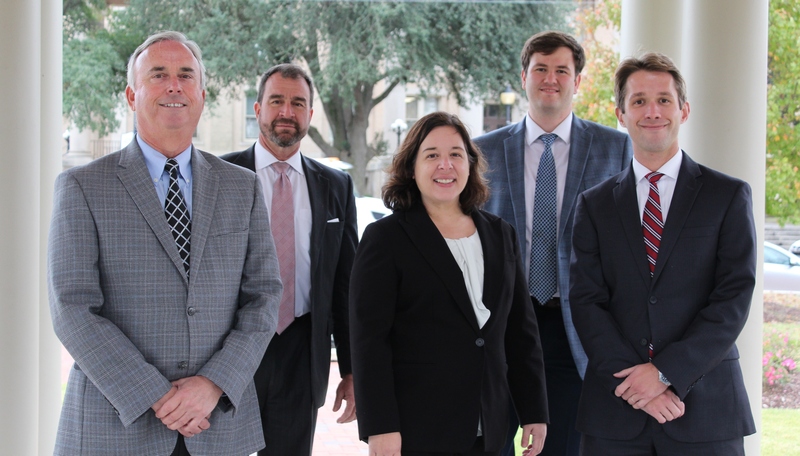 All of our attorneys serve Wayne, Greene, and Lenoir County. Our Traffic Attorneys travel to Wayne, Greene, Lenoir, and Duplin Counties. Ronald T. Lawrence, II, who does Personal Injury, Worker’s Compensation, and Social Security, takes cases all over North Carolina. Our attorneys each concentrate in different areas, allowing us to provide you with appropriate, case specific advice right here in our office. We pride ourselves on providing quality representation at affordable prices. Protect yourself, and your business, from start-up to merger or sale. The catch all, covering contracts to condemnations and evictions. We handle misdemeanors and felonies, including traffic violations. Every Family Law situation is unique. Our Board Certified Family Law Attorney can help you with legal advice appropriate to your situation. We can help plan for your future, both now and when you are gone. An injury not to property, but to your body, mind, or emotions. We handle home purchases as well as land disputes and condemnations. Social Security Disability and Income benefits for those meeting disability requirements. Compensation for employees injured on the job.